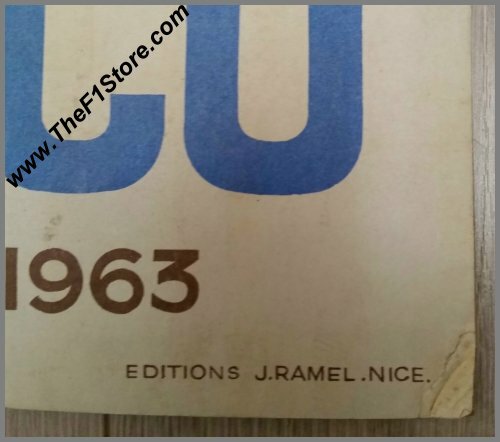 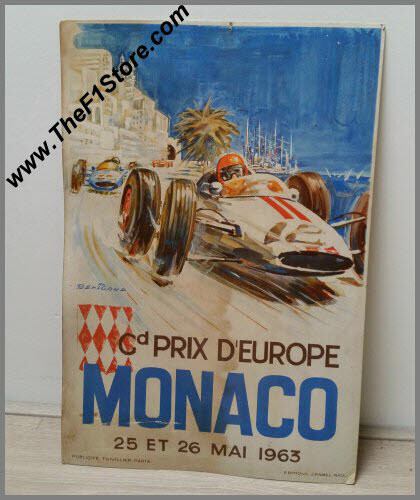 Vintage Original 1963 Monaco Grand Prix Counter-Top Poster. 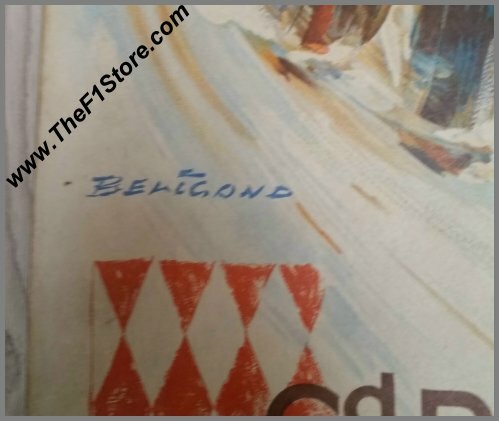 This particular one is executed as a counter-top version and it is the very first one in this execution that we ever managed to lay our hands on. 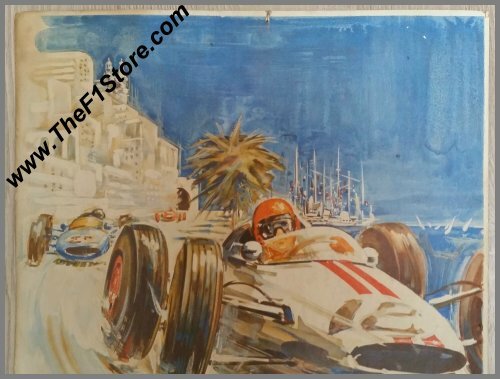 The artwork is by French artist Michel Beligond and shows a number of F1 cars racing along the harbor of Monte-Carlo. 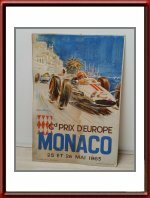 The race was won by Graham Hill on BRM, followed by his team mate Ritchie Ginther with Bruce McLaren on Cooper-Climax completing the podium. 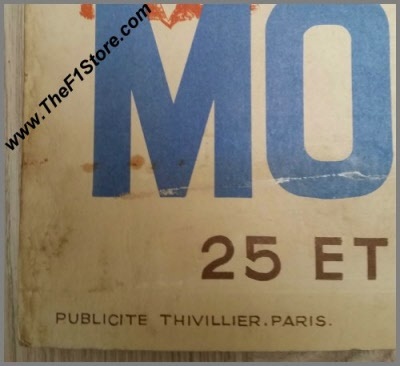 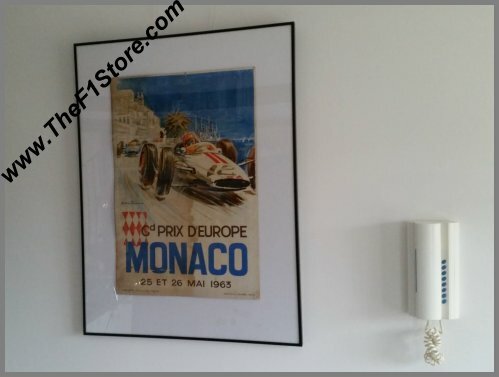 As visible in the pictures, this unusual table top Monaco "poster" has been maltreated severely in its past so it is in far from mint condition but it simply oozes patina... For the exact condition, please check the photographs. 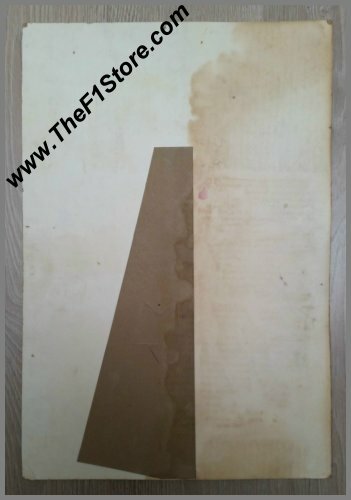 The dimensions are some 59 x 40 cm or 23.5 x 16 inches. We have, of course, only 1 available.